Our plan, as you might imagine from a church, is rooted in scripture. Luke 2, to be exact. Luke 2:40-52 paints a brief picture of Jesus' childhood, and, if you read it closely, also a picture of the kind of environment in which Jesus was raised. What to Expect on Sundays from HPUMC on Vimeo. Sign up to serve with HP Kids! Join us for a fun-filled week of Vacation Bible School! 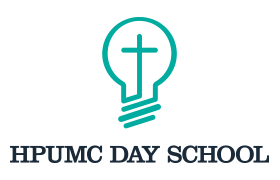 Children ages 3-5th grade will enjoy activities like crafts, snacks, games, and drama each day while learning about Jesus! Registration will open for members on March 4! Children begin to discover who God is and that he or she is made in the image of a wonderful God. Children learn about Jesus in exciting and interactive ways involving both large and small groups.